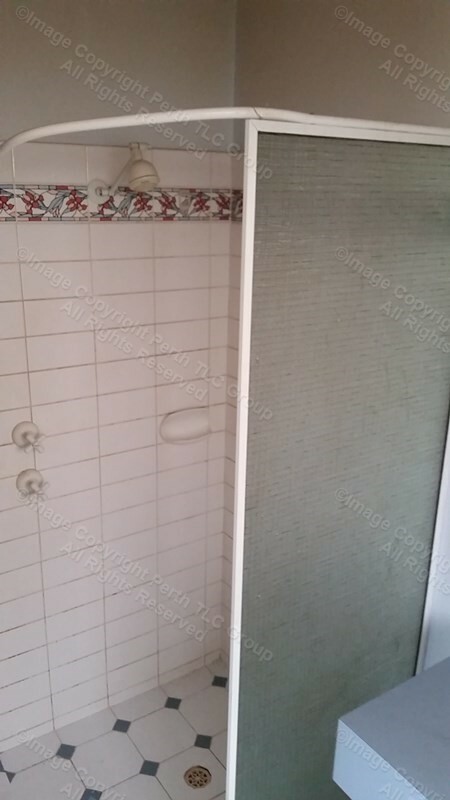 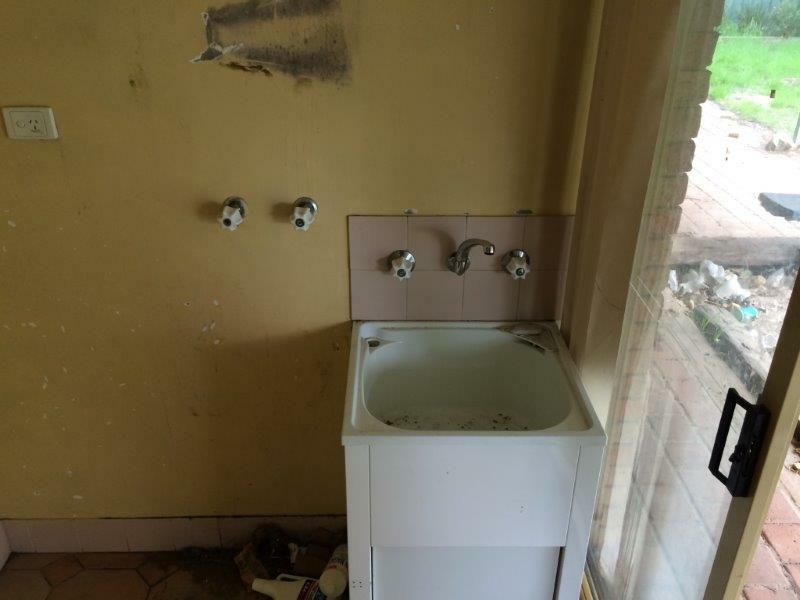 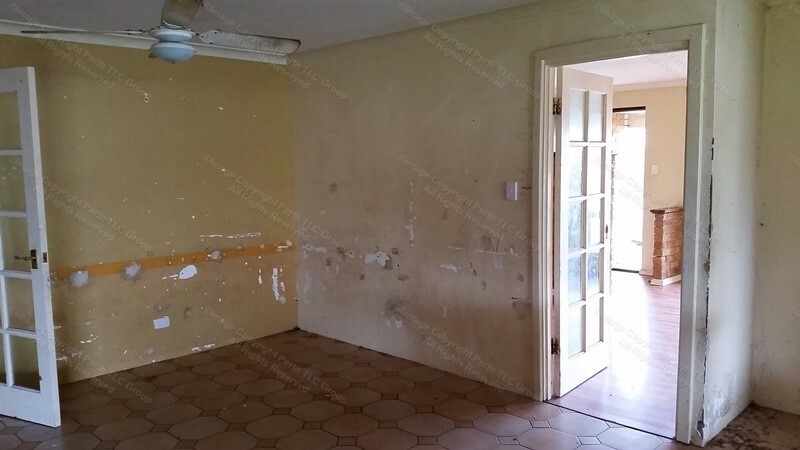 This rental property in Warnboro was damaged throughout by the previous tenants. 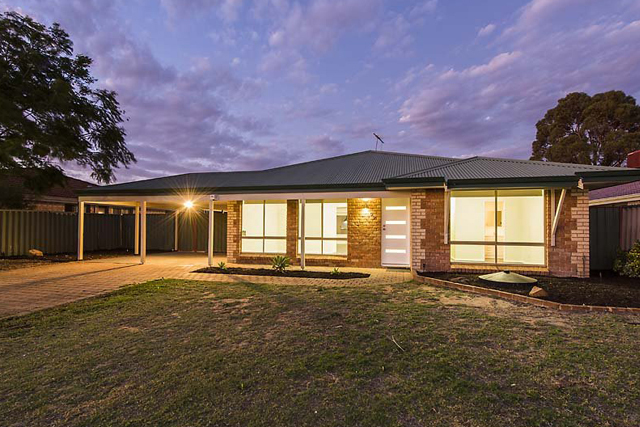 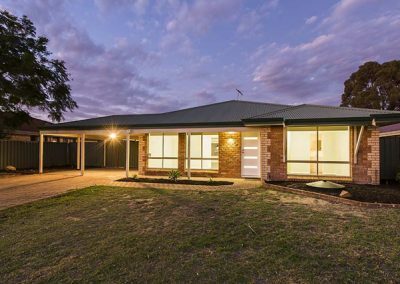 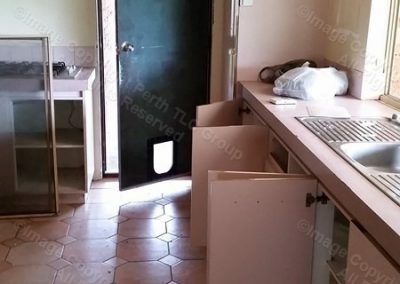 Our clients decided to sell and asked Perth TLC Group to carry out a full home renovation to ensure the property was looking its best ready for sale. 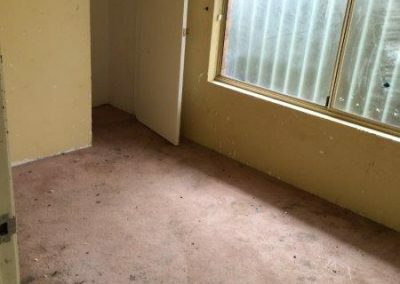 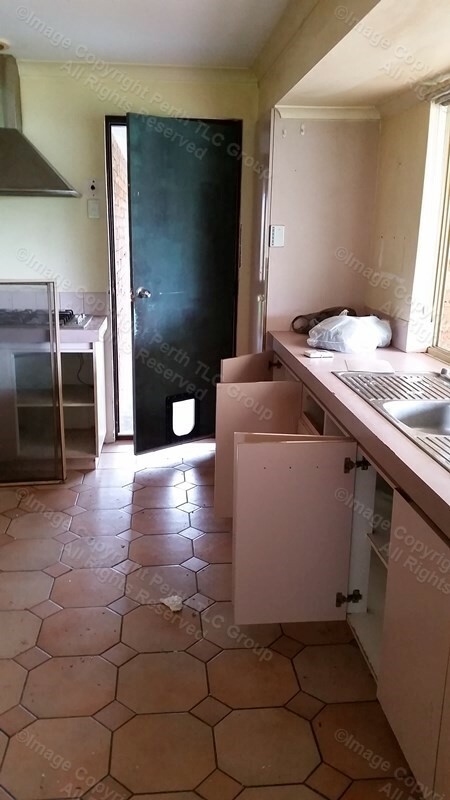 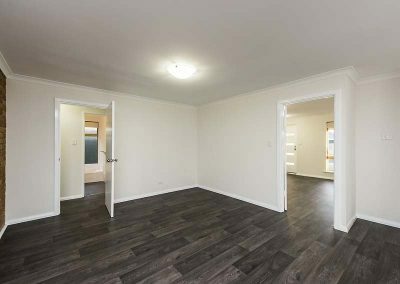 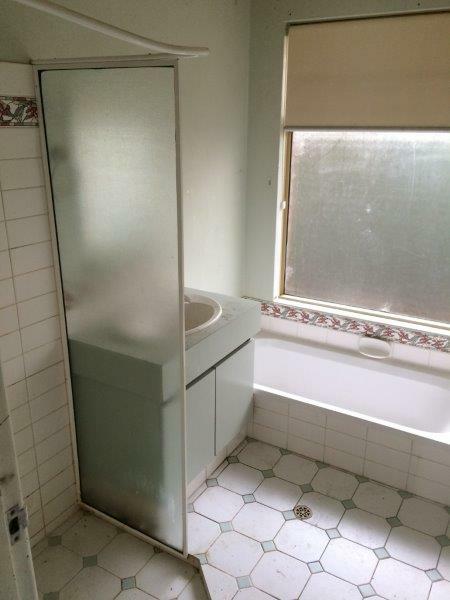 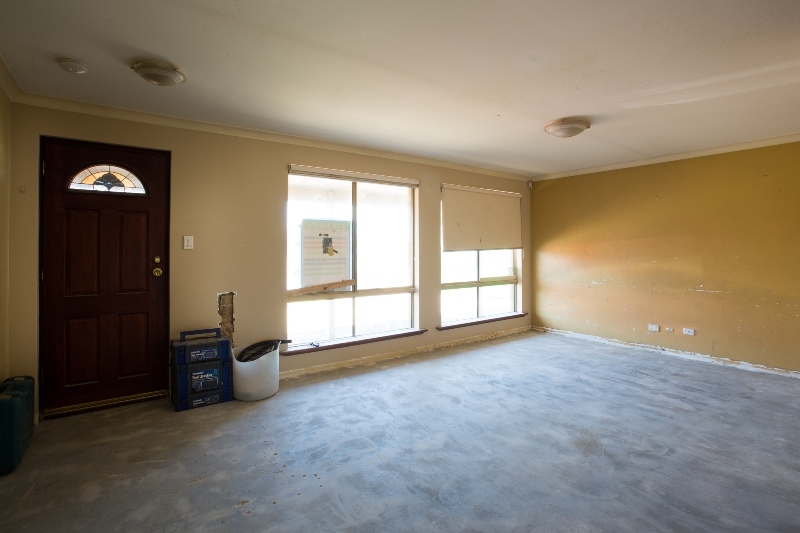 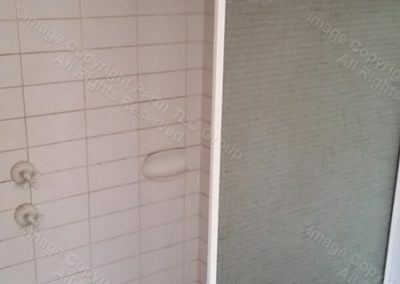 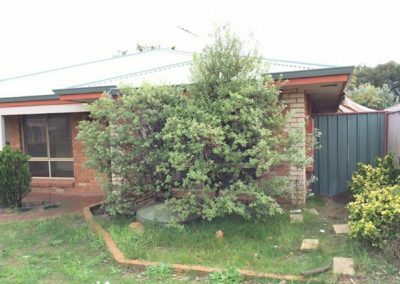 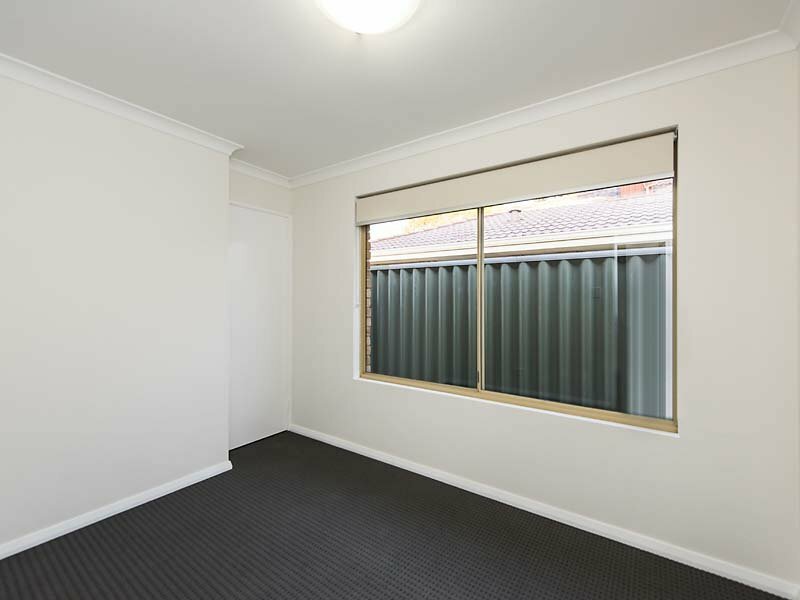 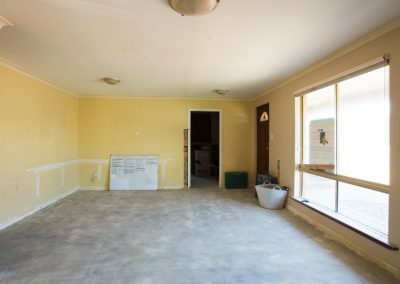 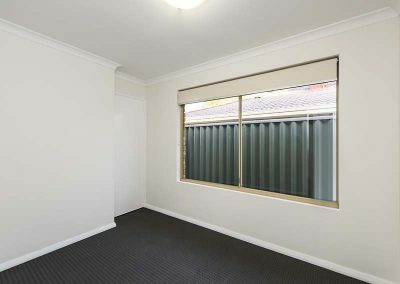 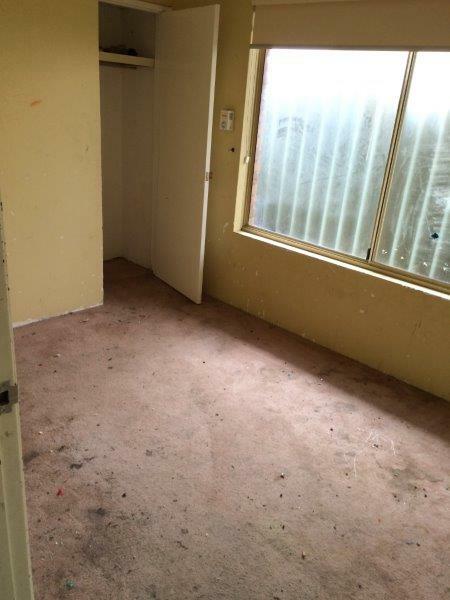 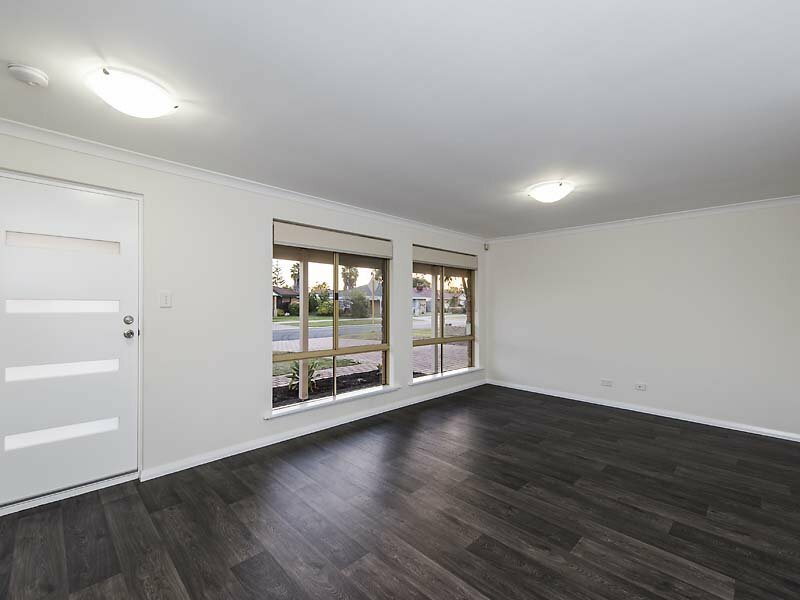 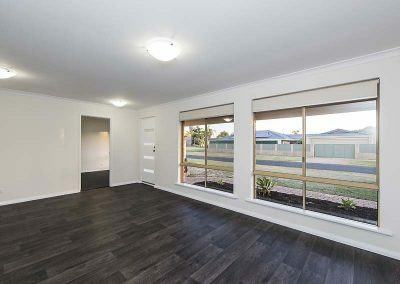 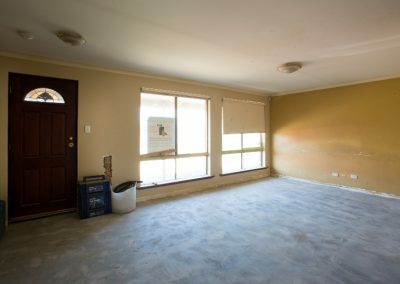 Perth TLC Group completely stripped out the property. 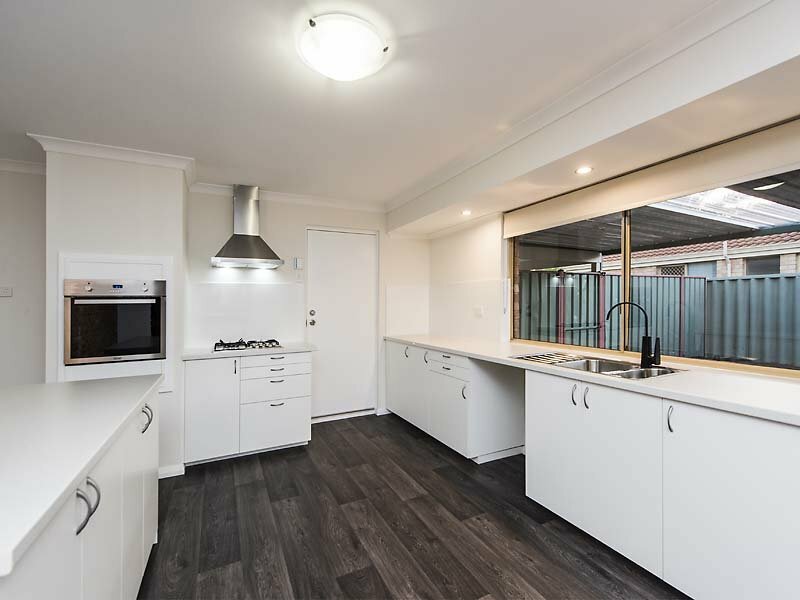 We then carried out a full kitchen renovation including the installation of all new appliances, new tiling, new flooring, tapware and painting. 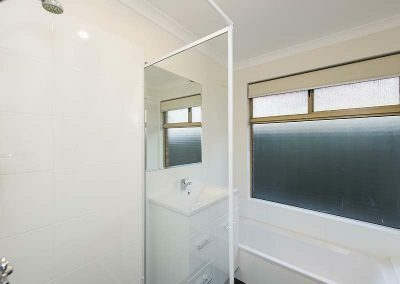 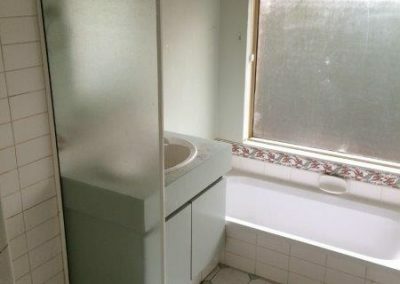 A bathroom renovation was completed for both the ensuite and main bathroom which included new vanities, basins shower, shower screens, tapware, painting and tiling. 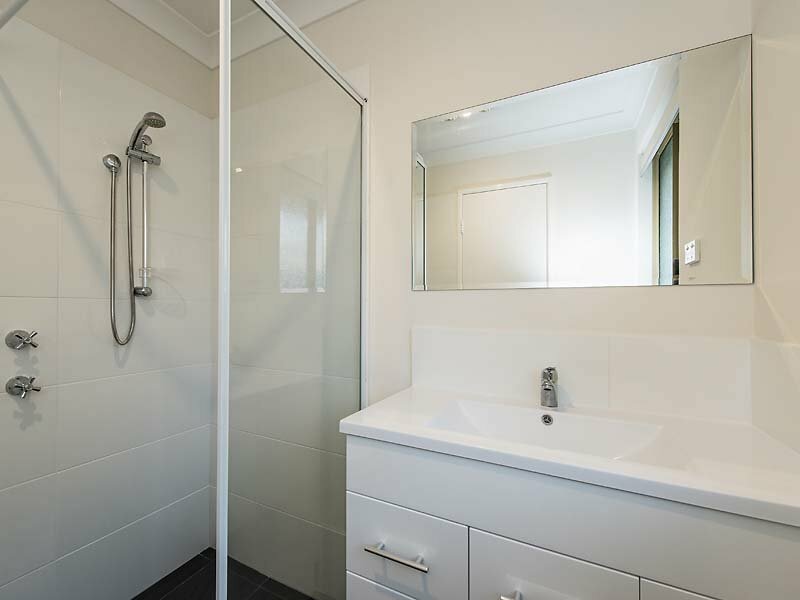 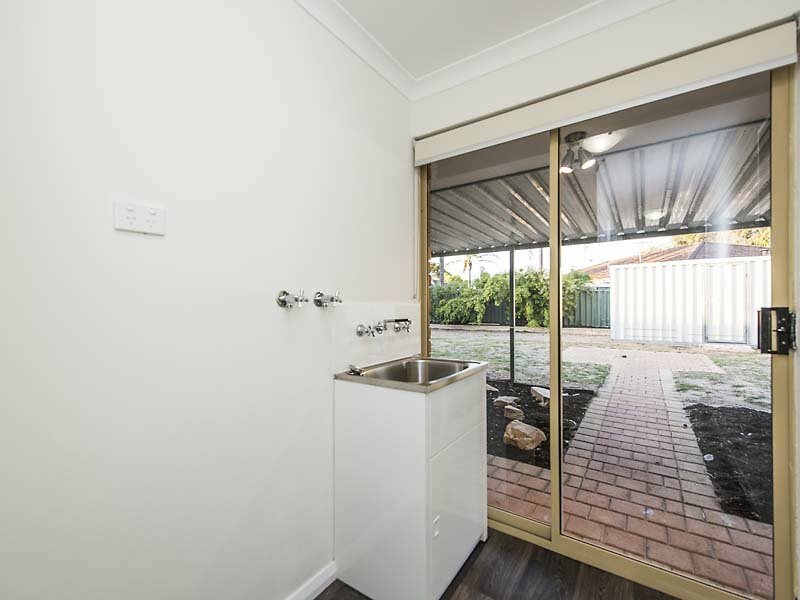 A small laundry renovation was also completed which included the installation of new laundry trough, tapware new tiling and painting. 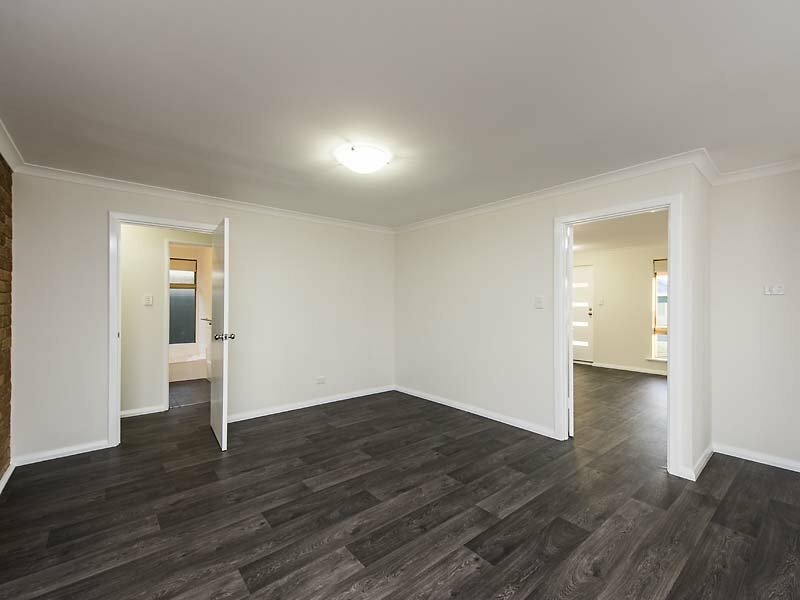 As well as these renovations new flooring was laid throughout. 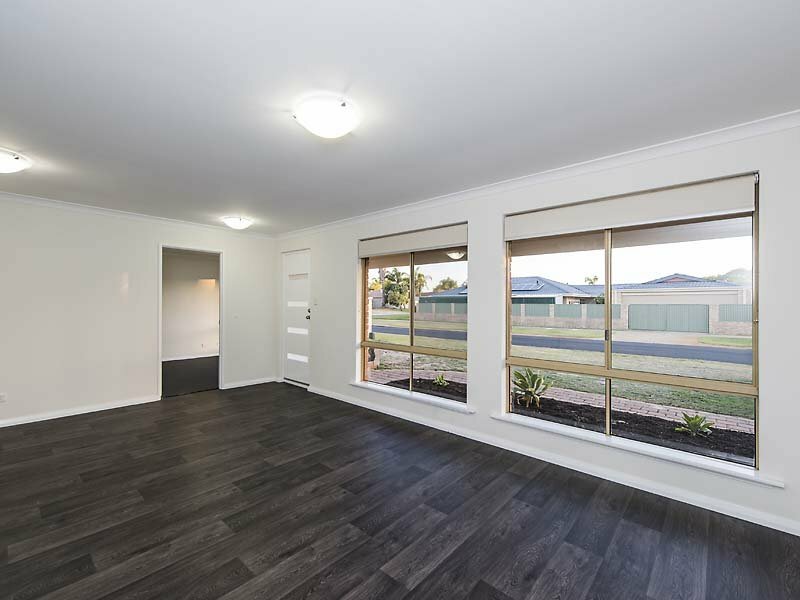 All new light fittings, fixings, doors and door hardware and window furnishings were installed. 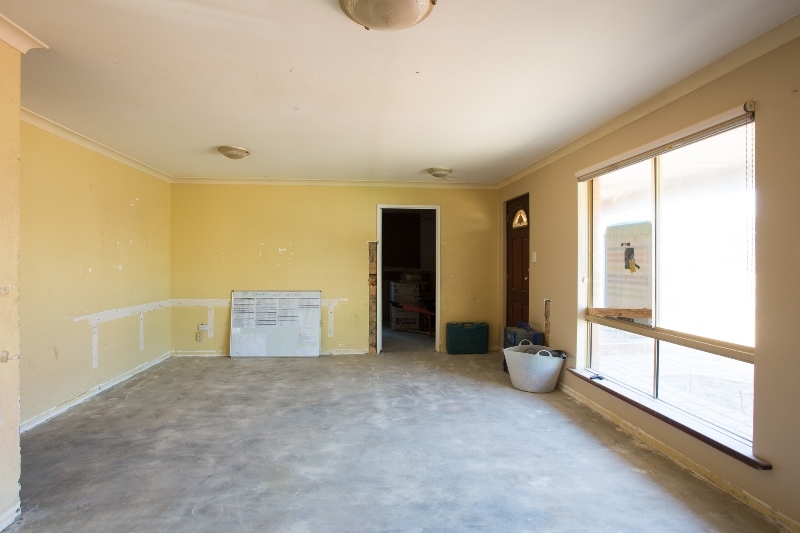 The property then underwent a full paint throughout. 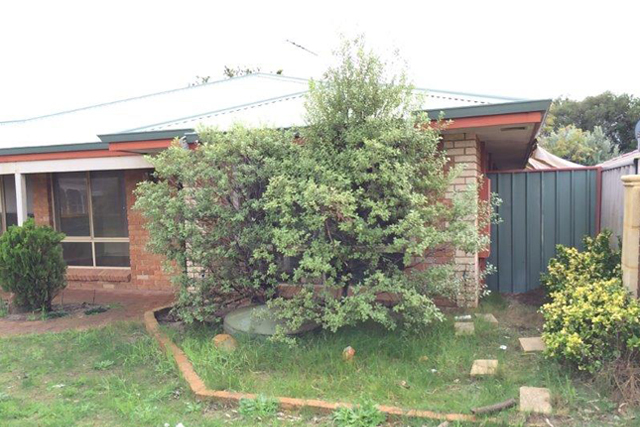 The front and back yard was full of rubbish and debris and overgrown with weeds. 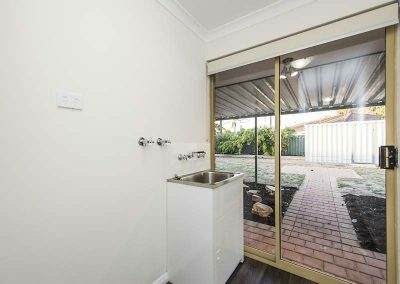 The clean up of the yard was also included in this home renovation. 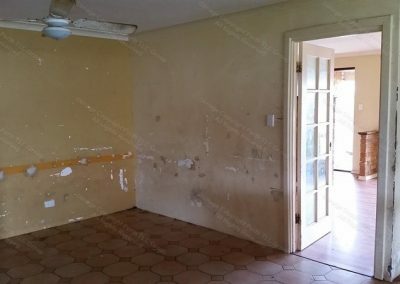 As you can see by the photos it now looks completely different and was ready for sale.